KCHS Mission: To Equip Every Student to be Successful in a Global, Diverse Community. "When you absolutely positively have to know, Ask [sic] a Librarian." the school. Ms. Phillips is loyal, honest, devoted, skilled in technology, and gifted in her teaching. Her rapport with staff and students is outstanding. Michelle Phillips is a positive addition to the school media program and an asset to the overall school community. Ms. Phillips has an BA in Organizational Management and a Master's in Teaching and Learning with Technology through Ashford University. She will receive her second Master's in Library Media Science from McDaniel College. 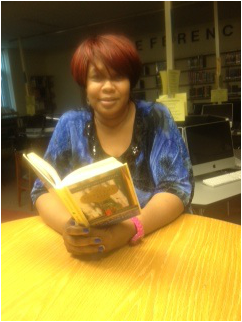 Ms. Phillips enjoys reading, singing, photography, technology, and sports. She is the current varsity volleyball coach at Kent County High School. She is also in the Kent County High School's Hall of Fame Class of 2008 and Chowan University's Class of 2007 for volleyball.